What is the best thing to read on a cold wet January day in Seattle? Maybe a book about how much cheaper and warmer life could be in Costa Rica. 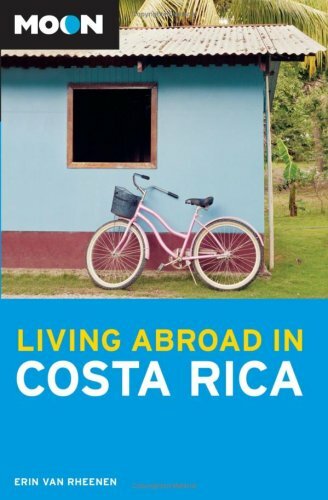 Moon Living Abroad in Costa Rica (Living Abroad) is by Erin Van Rheenen and she sold me on Costa Rica. Although I seriously doubt I’ll be buying any real estate on Planet Earth in the next two to five years, I did enjoy reading about life in Costa Rica. My favorite part was on page 52. Most Ticos are up before six in the morning. You will be much, much happier if you adjust to Tico hours, which means getting up with the sun and going to bed as early as 9 or 10 o’clock. Warm weather and a decent bedtime. Sounds like heaven to me. During my 2006 visit to South America, I found the opposite to be true. They woke up late and stayed up late. I’m an early riser. In Montevideo, Uruguay, I walked around downtown looking for a breakfast place from 6:30 AM to 9:00 AM. Nobody was awake and nothing was open, except the so-American McDonalds. Although I could imagine living in Montevideo, I can’t imagine sleeping in to 9 AM. Prior to picking up this book, I looked at Moon Living Abroad in Nicaragua (Living Abroad) by Joshua Berman. No sale. Although cheaper than Costa Rica, the author painted this country as a little too poor for my liking.